The Department of Tourism of Da Nang City on April 12 collaborated with the Malaysian low-fare carrier Air Asia to hold a ceremony to welcome the first flight from Chiang Mai (Thailand) to the city, carrying 180 passengers. 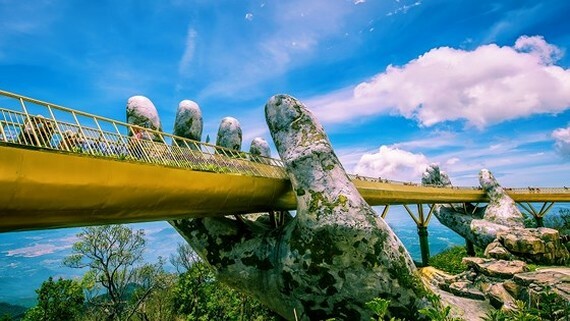 Golden Bridge, an attraction in Da Nang City. Mrs. Huynh Thi Phuong Lan, deputy director of the Da Nang Center for Tourism Promotion, said that Thailand is among countries with the highest number of visitors to Da Nang. Especially, in the first quarter of this year, there were nearly 60,000 tourists coming to the city from Thailand, up 35.7 percent compared to the same period last year. With the daily flight of Air Asia from Chiang Mai to Da Nang, the total number of flights from Thailand to Da Nang has increased to 63 flights per week. The direct flight from Da Nang to Chiang Mai also helps tourists from Da Nang and neighboring areas to directly travel to Chiang Mai instead of transiting in another city like before. 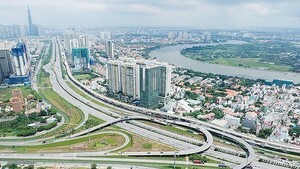 At the same time, it also opens an opportunity for other provinces in the Central of Vietnam to attract Thai tourists.